Every body is designed differently, and everybody has a different vision of the ideal body shape. At Annapolis Plastic Surgery our team of board certified plastic surgeons help our patients achieve their dream contour using cutting edge cosmetic techniques and treatments. We want to help you enhance your best features, and improve your confidence. Many of our patients eat well and work out regularly but still have areas of stubborn fat they can not lose. Our full menu of body contouring procedures and treatments target zones that are commonly difficult to tone. Board certified plastic surgeon Dr. James Chappell has over 20 years of experience and offers patients an improved, beautiful, natural looking body contour. Our doctors provide comprehensive and personalized cosmetic consultations and treatment plans tailored to the unique needs and concerns of the individual patient. We help educate patients on their options so that they may make informed decisions on which treatment will best achieve their ideal body shape. The tummy tuck procedure removes extra skin and fat from the abdomen. Many patients who have birthed children or lost a large amount of weight experience sagging, or extra skin in the belly. Sagging midriff skin can make it difficult to find clothes that fit properly and may cause embarrassment. A tummy tuck is a surgical procedure that offers unparalleled results for patients looking to tone and firm their abdomen region. Click here to learn more about a tummy tuck. Liposuction can re-contour your body for a more confident and sculpted look. Liposuction uses a suction to remove fat from underneath the skin. Liposuction in combination with exercise and weight loss may provide patients with their optimal results. Liposuction is often used to give patients the boost they need to achieve their ideal body contour. CoolSculpting is a non-surgical alternative to removing stubborn fat from “trouble-zones.” CoolSculpting is FDA-Cleared and targets only fat cells beneath the skin. Through a patented cooling process, CoolSculpting freezes the fat cells, leaving healthy skin tissue unharmed. CoolSculpting is ideal for patients with in their ideal weight range looking to improve the contour of their abdomen, arms, legs or back. Are you sick of underarm flaps? An arm lift is a surgical procedure that is used to remove excess skin and fat from the underarm. This procedure can create more toned, sculpted arms that look and feel younger. Click here to learn more about arm lifts. Patients who receive bariatric surgery loose a large amount of weight in a short period of time. This often results in excess skin that looses its elasticity. So while patients have reached their target weight, they are still weighed down by excess skin that is loose and sagging. Dr. Chappell is highly experienced in providing body contouring services for the once obese. Our treatments can improve the elasticity and appearance of the skin, create a more natural, healthy and toned contour. Click here to learn more about body shaping after weight loss. Dr. Chappell is a board certified plastic surgeon with over 20 years of experience contouring bodies. Dr. Chappell’s extensive training and experience provide patients with natural and precise results. Named “Top Doc” in Plastic Surgery by What’s Up? Annapolis Magazine, Dr. Chappell has become a leader in body contouring, breast augmentation and reconstructive surgeries in the Annapolis region. 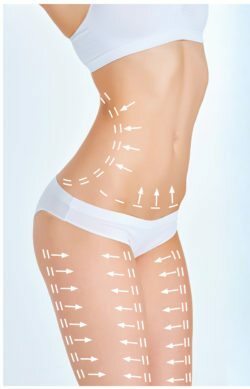 To learn more about body contouring procedures and how they can benefit you, contact our Annapolis, MD cosmetic surgical center or request an appointment online.